TinCaps CF Travis Jankowski heads to first base after being hit by a pitch during Thursday’s game. When the Midwest League Championship Series resumes in Fort Wayne tonight, the TinCaps will no longer have their reliable leadoff hitter Travis Jankowski available. He was placed on the disabled list this morning after being hit by a pitch to lead off Game 2 in Appleton. During the first inning of Thursday’s game at Wisconsin, TinCaps CF Travis Jankowski suffered a fractured rib when he was hit by a pitch leading off the game. He stayed in to run the bases through the top of the first, but came out in the bottom of the inning and was replaced by Mike Gallic. When Jankowski was at second base, having advanced on a wild pitch, (manager Jose) Valentin walked about 10 feet past third base as if he wanted to check on Jankowski, but the outfielder waved away his skipper, trying to play through the pain. Jankowski was placed on the disabled list today, and has been replaced by infielder Connor Powers, who had been on the disabled list since late August. This comes as a blow to the TinCaps, who now will have to work with a reconfigured lineup. Ever since Jankowski joined the team at the end of June, he had hit leadoff nearly every game. We’ll likely see Jace Peterson return to the top of the lineup, and perhaps Tyler Stubblefield will hit second. The three, four and five spots will be interesting to see. Travis Whitmore or Yeison Asencio could hit third, with whoever ends up not hitting third, hitting fourth. Lee Orr could hit cleanup or in the number five spot. Asencio has been hitting third lately in an attempt by Valentin to score a run within the first three batters coming to the plate. The theory is that if either Jankowski or Peterson were to reach base and steal second, Asencio could drive them home. While Asencio has not hit much in the playoffs, Orr has hit four home runs in seven games. 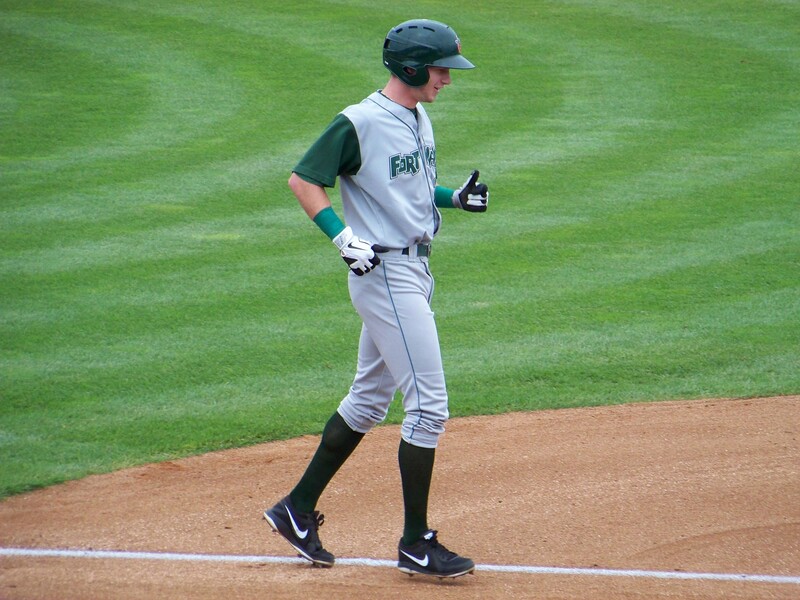 Jankowski ended the regular season with hits in the last 17 games, and also hit safely in the first six postseason games played by the TinCaps. The centerfielder hit .282 with 1 HR, 23 RBI and 17 SB in 59 regular-season games with the TinCaps this year. Game 3 of the Midwest League Championship Series is scheduled to start at 7:05 EST tonight. This entry was posted in 2012 Playoffs, Fort Wayne TinCaps, Midwest League. Bookmark the permalink.